Top Free Attractions in Cape Town! All over the internet, millions of people are looking for that one in a lifetime deal to their ideal destination. Due to the global recession, everyone is on a tight budget, from household bills to clothes and food, and taking a holiday is no exception! This has lead holidaymakers to look for the cheapest (or free) attractions going whilst on holiday. Thank goodness there are promos on bundle nowadays. Flights, accommodations, and at times hop-on/hop-off tours itchyfeets can now be booked together for less. Thankfully, when it comes to Cape Town, there are literally hundreds of them! From the beautiful shorelines and fantastic scenery to the vibrant nightlife culture, you’ll be surprised at the amount you’re able to do for free in Cape Town. So lets take a look at some of our favourites. Lion’s Head is one of the most popular places to trek in Cape Town. It only takes around an hour to walk to the peak of this sandstone-capped hill. Once at the top however, the views of the city are spectacular, especially in the evening as the landscape of city lights dominated the horizon. Watching the sun go down at Lion’s Head is a free attraction like no other, and because so many people head here as the full moon rises, you’ll be able to experience South African culture at it’s finest. The table mountain is not on the only sole attraction worth exploring in its area, the Cecilia Forest on its eastern lower slopes is a must see. 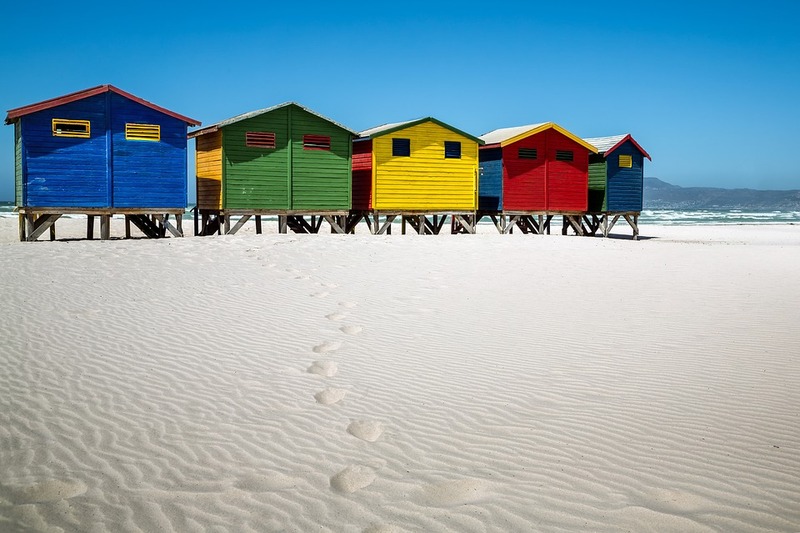 Without doubt, the best attraction in Cape Town are the beautiful beaches. They’re completely free for you to come and go as you please. There are some hotels and resorts that have their own private beaches. However, they’re no more special than the long stretches of golden coastline. Furthermore, there are loads of activities to do at the beach. From water sports, to catching up on your tan, to shopping by the beach. A wonderful array of shops, bars and clubs look over the beaches. You can enjoy a cocktail or two as you gaze out onto the ocean, or simply lay back and listen to the music! If you enjoy wine, then you’ll know that South Africa – Cape Town especially – has some amazing vineyards. These produce some of the best wines in the world (photo below is the vineyard of Cellars Hohenort Hotel and Spa). The vineyards are only a short distance from the city. This means the owners don’t have to spend much money on transportation – thus, bottle prices are pretty cheap (which is always nice to hear). If you’re looking for a day excursion however, do visit the vineyards. Learn the tricks of the trade from the expert South African distillers. Airfares to South Africa can be expensive, especially if you leave it late to book. So compare flights online first for the best deals! Although South Africa holds a vast wealth due to it’s diamond industry. There are still huge slums all over the cities, especially Cape Town. All of these slums are home to heavily disadvantaged children, with most not even attending school. There are plenty of volunteer organisations that work out of Cape Town. They try and get tourists to spend an hour or two of their time teaching these kids skills, or simply to just play with them. For example, if you enjoy watching and playing football, why not take a coaching session with a group of children!